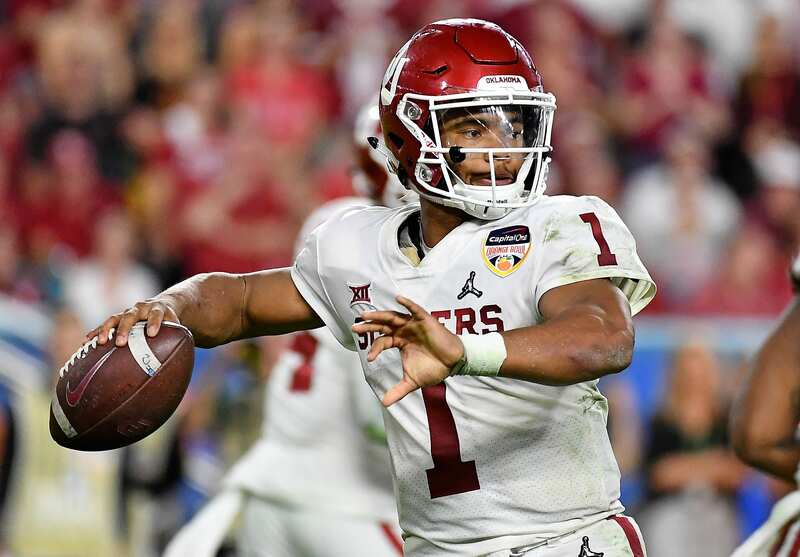 This probably won’t mean much for the majority of fans, but for those who want to go in-depth in studying prospects ahead of the 2019 NFL Draft, it should be noted that Kyler Murray is going to attend the Combine. The report was originally broken by Adam Schefter. Murray is frequently linked to the New York Giants but is the second quarterback associated with the team’s draft this year, with the majority of predictions saying that the Giants will take Ohio State quarterback Dwayne Haskins Jr. instead. The combine will be a good chance to see just how Murray stacks up physically, with his athleticism being one of the traits that helped him win the Heisman Trophy in what will end up as his final college season last year. Murray reached the just over 1,000 yards mark on the ground by finishing with 1,001 rushing yards, and his speed and agility helped him score twelve rushing touchdowns for his team. But as a player coming from a spread offense, NFL scouts will also be watching to see if Murray can throw the ball like an NFL quarterback, a trait that is generally associated with the pro-style offense rather than Oklahoma’s, which is closer to the air raid system. Some have predicted Murray to go as high as number one overall, but the predictions have changed wildly as the offseason has continued and others have said that Murray could go as low as near the bottom of the first round, or out of the first round entirely. It seems like it would be a mistake for the Giants to spend the sixth overall pick on such a player, but still, it’s a possibility that has been entertained by analysts who see the team taking a quarterback not named Dwayne Haskins.